At its most basic, almodrote is a pounded mix of raw garlic and shredded cured cheese. 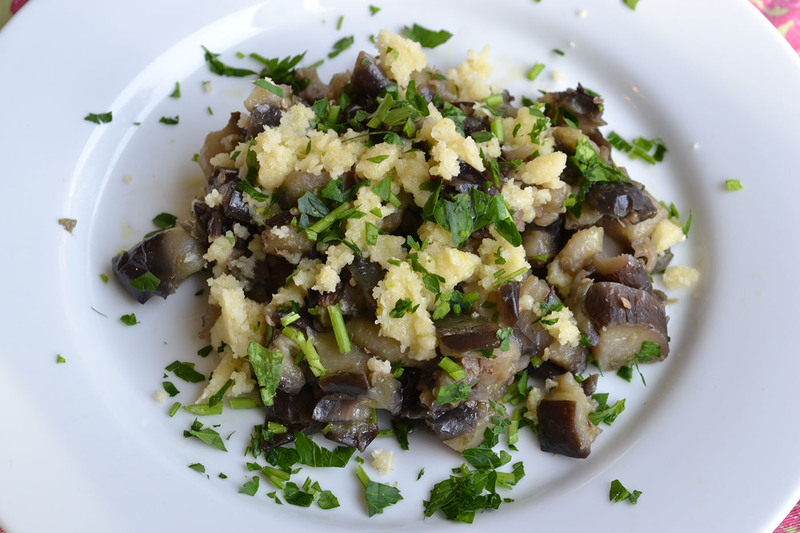 In this form, it worked as a sauce that was a common accompaniment to eggplant. The name almodrote is derived from the Arabic almaṭrúq and is also related to the Latin moretum, a mixture of aged cheese, garlic, oil and vinegar or wine and other ingredients that were pounded to a paste. The pungent mixture of aged cheese and garlic may seem unusual, but it is delicious and in some ways similar to other pastes such as the Italian pesto, which adds nuts like pignoli or pinenuts and herbs like basil, or the Catalan picada, which relies on pounded nuts and tomatoes and dried chilies. All of them are worthy of entering your cooking repertoire. 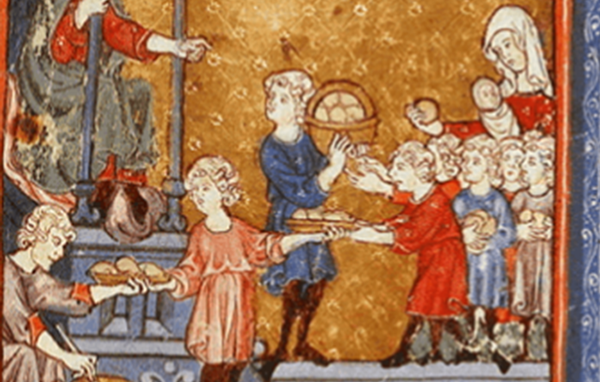 Today, the almodrote recipes found in Sephardic kitchens typically include feta cheese, or a mix of feta and a firmer cheese, like gruyere, and eggs, either boiled or raw, to thicken the sauce. 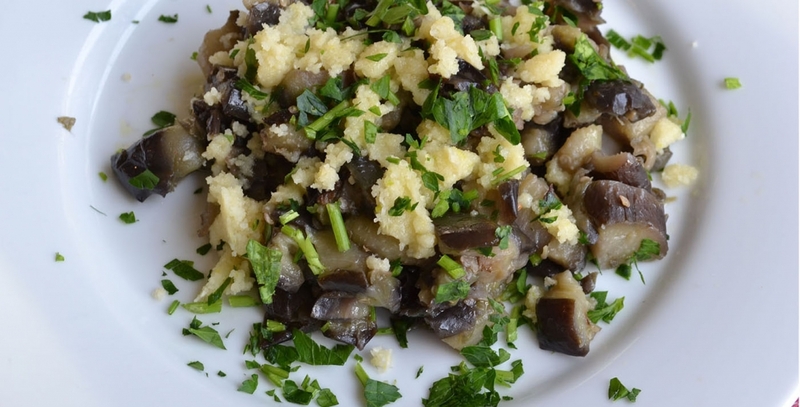 They may also eliminate the garlic altogether and roast rather than boil the eggplant. The resulting dish is cooked in the oven and more like a homogeneous casserole or gratin of eggplant, egg and cheese than a relish that accompanies pan-fried eggplant. For a Moroccan recipe you can visit this blog. The New York Times published a recipe of a Turkish version, available here. 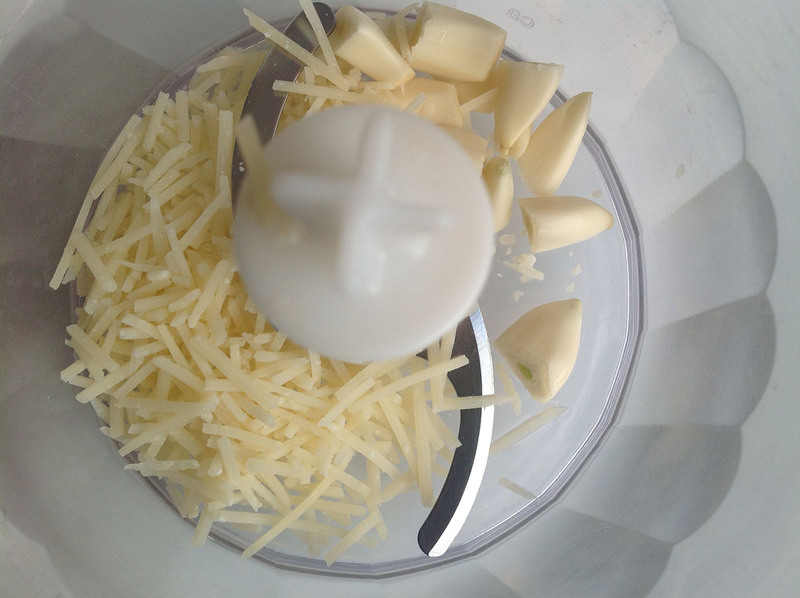 In a small food processor, chop the cheese and garlic until a thick paste forms. Add one teaspoon of water at a time if the mixture is too dry, but be careful not to make it too runny. 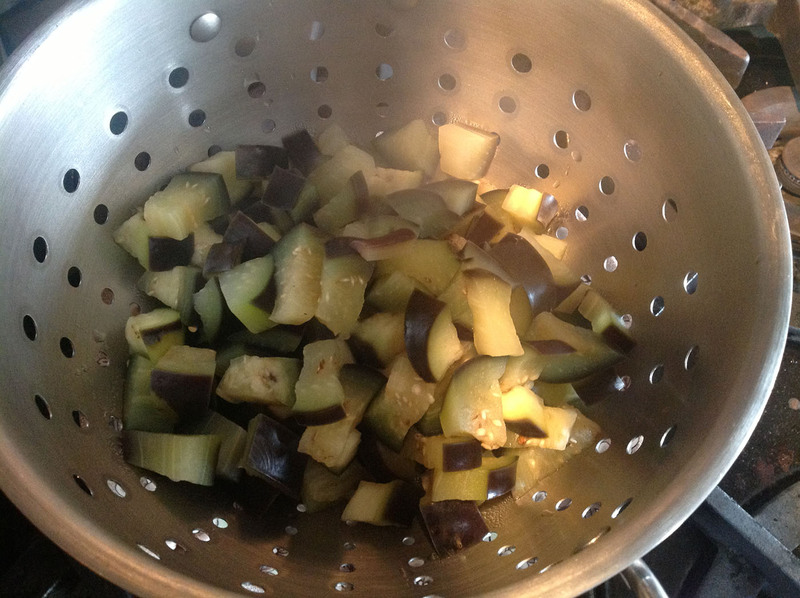 Add eggplant to the water and boil for 2 minutes (longer if you prefer a softer texture). Drain the eggplant in a colander. While the eggplant drains, heat the oil in a large heavy pan. 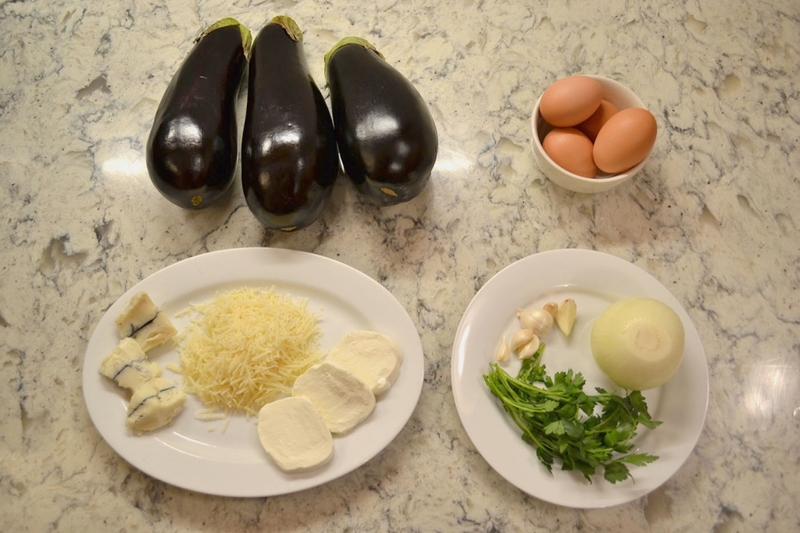 Avoid using a small pan, as the eggplant will be too crowded and will steam rather than brown. When the oil begins to smoke slightly, put the eggplant in the pan carefully, as it may splatter. Over a medium-high fire, stir the eggplant so that it is slightly browned on all sides. This will take just a few minutes. Add more oil if necessary. 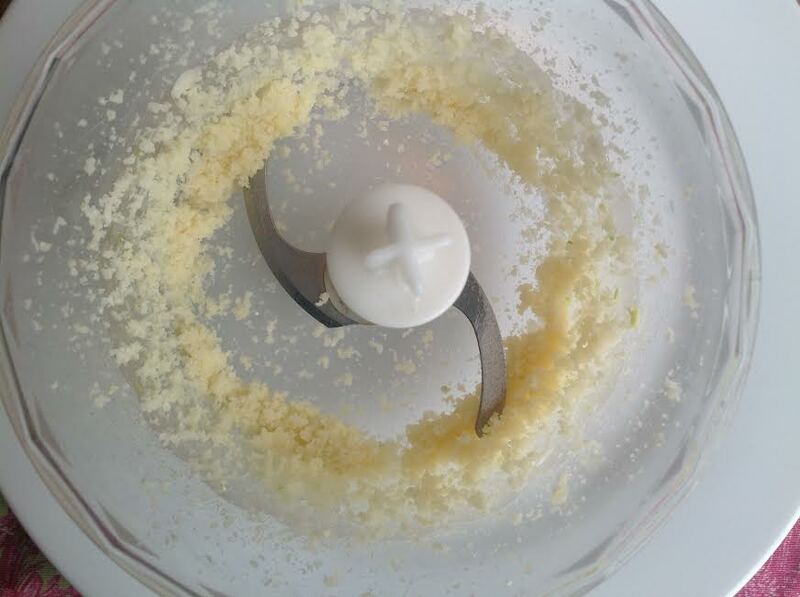 Add salt, remembering that the almodrote paste will already be salty from the cheese. 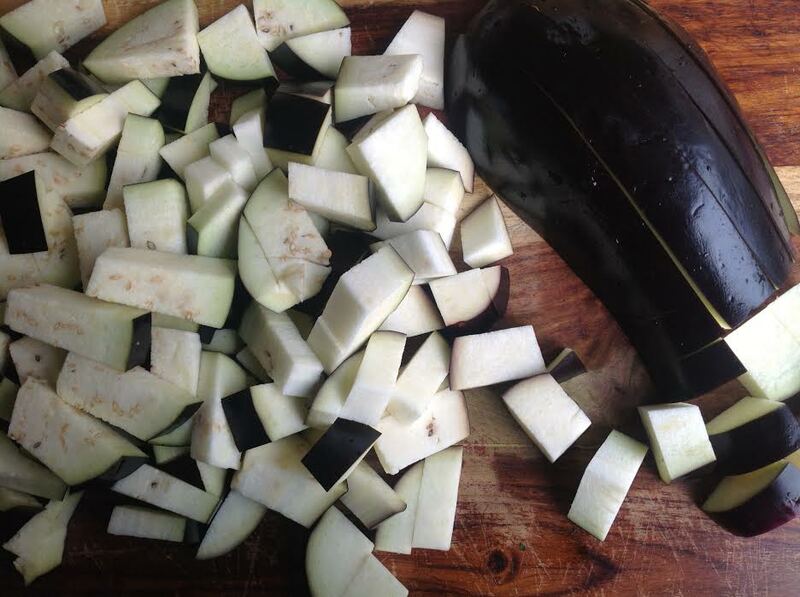 Once the eggplant is lightly browned on all sides, remove from heat and place on a serving platter. Sprinkle the almodrote paste on top and garnish with cilantro or parsley. Learn more about almodrote in the Story Behind the Recipe. David M. Gitlitz and Linda Davidson. 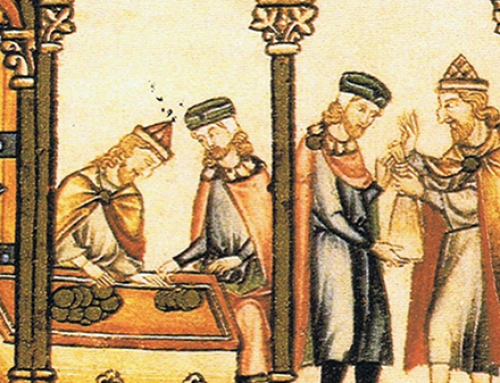 A Drizzle of Honey: The Lives and Recipes of Spain’s Secret Jews. New York: St. Martin’s Press, 1999. Santa María, Ramón. “Ritos y costumbres de los hebreos españoles.” Boletín de la Real Academia de la Historia 22 (1893): 181-188. Learn more about the history behind almodrote. Where can I buy the book? It does not seem to be available on Amazon. Thanks for your interest in Ana Gomez-Bravo’s Converso Cookbook! As of now, the cookbook exists as an online resource only. Is the Conversos Cookbook an actual book? If yes, where can I buy it? Thanks for your inquiry! For now, The Converso Cookbook is an online-only resource.